Big surprise... no nail blogger or nail artist is perfect. We all have ideas that seem awesome on paper, but never pan out in reality. 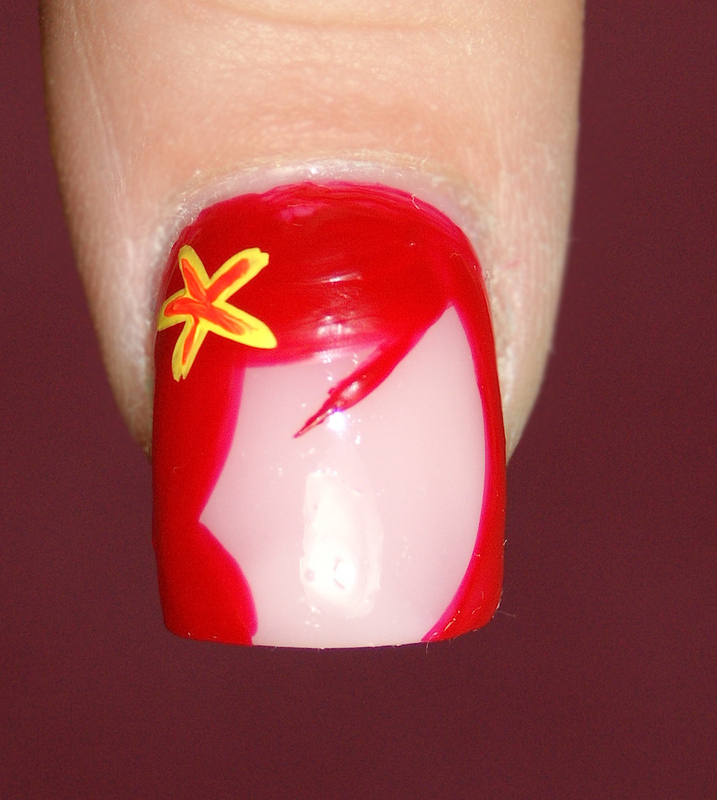 I was inspired by Chelsea of The Nail Network's Ariel manicure, specifically the use of Ariel's skin tone and distinct hairstyle on the thumb. 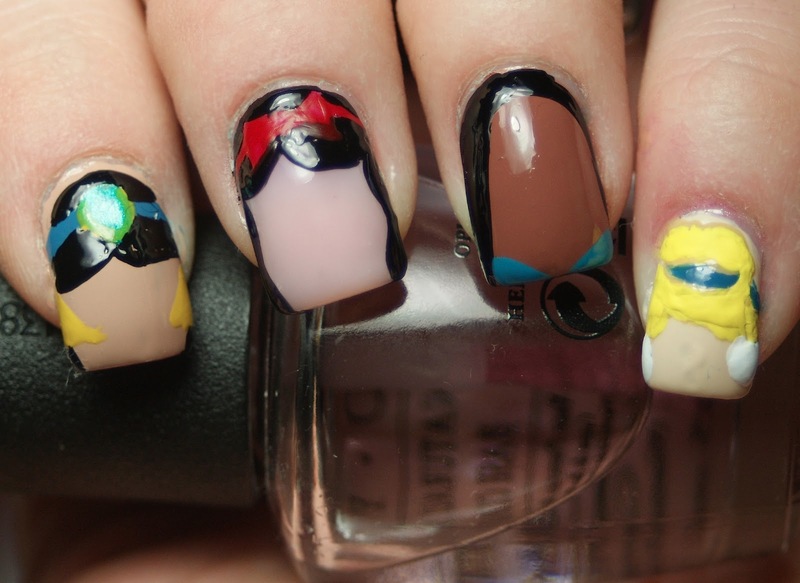 I thought it'd be cool to use all ten of the official Disney princesses, one for every finger, in a similar manner. For the record, Disney counts the big six of Ariel, Belle, Snow White, Sleeping Beauty, Cinderella, and Jasmine, newcomer Tiana, as well as Mulan, Pocahontas, and Rapunzel in this club. Ariel turned out so well! I used a variety of Art Club nail art paints over Zoya Audrey. All I can say is FREAKING BLONDE PRINCESSES! I must have tried to do Cinderella six different times, Sleeping Beauty four times, and Rapunzel twice (she was last). And after that, I gave up. Each one of them has such structured hair that I couldn't, for the life of me, fit them onto my nail and make them look right. So, in the end, I went with the Minnie Mouse Nails I posted yesterday. I love them, I do. But one day, I will figure out how to paint the trio of blondes on my nails. Ugh- I know the feeling! But I think these look pretty good- better than I could have done. It's one of the things that I have yet to tackle on my blog- I can't draw figures to save my life on a piece of paper- let alone my nails! These are great!! I love them! I think they are awesome! I am using this as nail art inspiration for my 5 year old today. Though we might end up just coloring with markers on paper. If you really want to do one, Rapunzel can have long golden hair as sort of french tips along several nails.